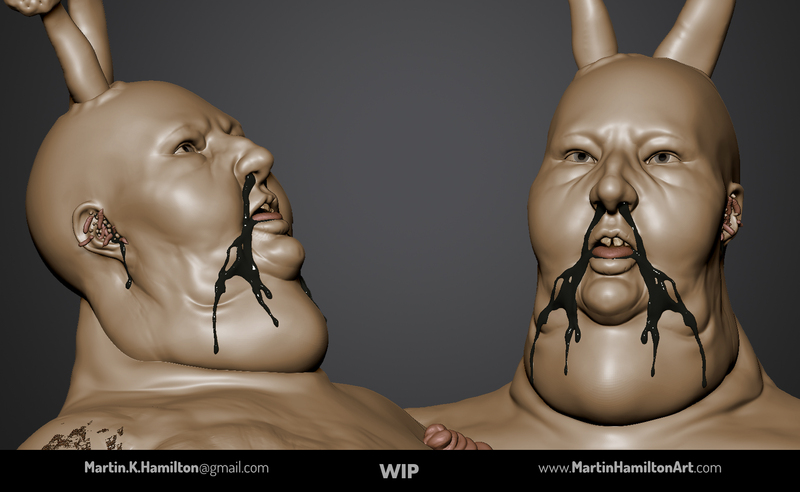 This is like the first time I’m making a fat person, so that is new and fun. I also am feeling a lot more comfortable with Zbrush’s tools, I’m making inset brushes for the fungi, maggots, and eggs. 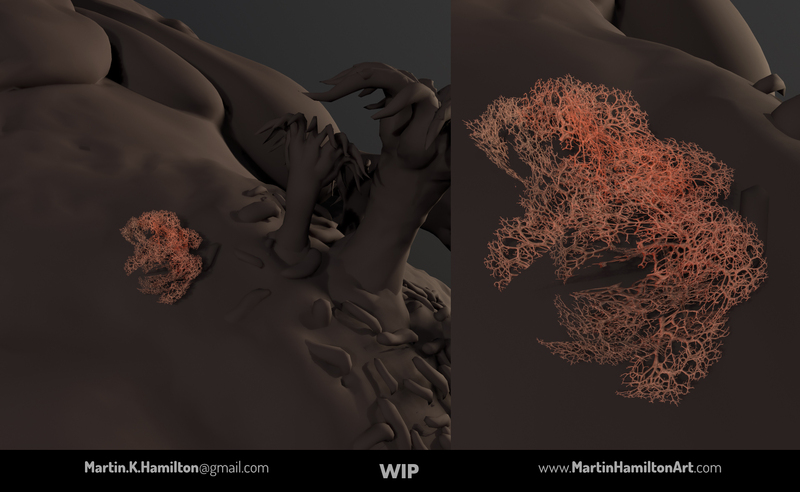 I’m also experimenting with using fibermesh with an image of Lichen to create tufts of fungi growing out of their body. Want to give this character some ‘tufts’ of Lichen and fungi growing from their body. Here are some test renders I made with an insert mesh and then brought into marmoset with a dither mask.